FRANKFORT—The Kentucky House tonight advanced legislation that supporters say would improve a state law that allows involuntary treatment for alcohol and drug addiction. 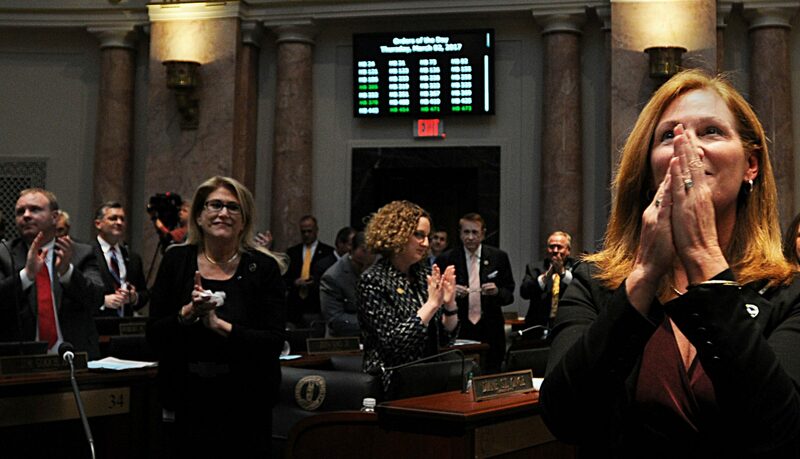 Rep. Kim Moser, a primary sponsor of House Bill 305, said the legislation would improve treatment options and costs associated with involuntary treatment under Casey’s Law, passed in Kentucky in 2004 in honor of Matthew Casey Wethington, who died of a heroin overdose at age 23. HB 305 “allows for better outcomes for those in need of treatment of their addiction” who are served by Casey’s Law, said Moser, R-Taylor Mill. The bill’s fellow chief sponsor, Rep. Danny Bentley, R-Russell, praised HB 305 for addressing what he called the “multi-dimensional” problem of addiction.